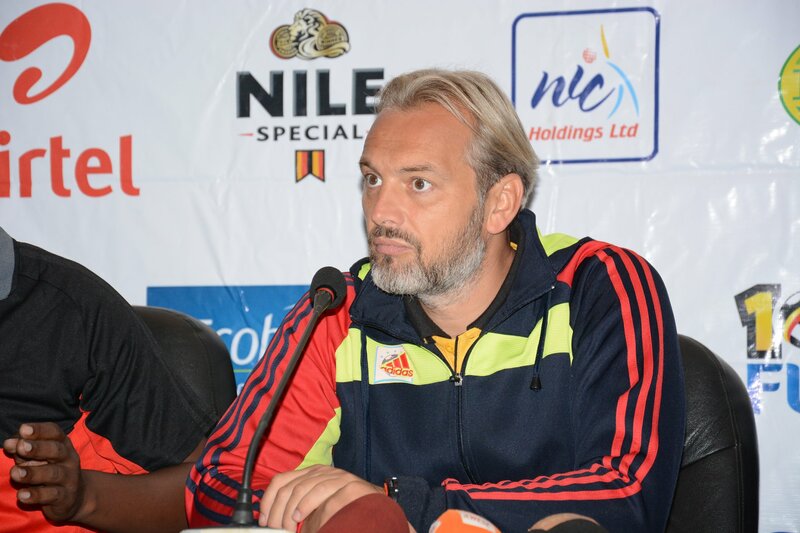 NAMBOOLE – Its 10 months since Sebastian Desabre took over as Uganda Cranes head coach, the French man has just hours to prove that he can lead the team to the promised land as he takes on Lesotho in his second AFCON qualifier. Addressing the media on Friday morning Desabre said he is confident that his boys will display a good performance and get the result they desire. “We have trained well and am confident that my boys will play good football and get three points on Saturday so that we can head to Maseru on the back of a victory, said Desabre. Desabre first AFCON qualifier ended in a goalless stalemate at home to Tanzania last month, also promised that Lesotho will not be taken for granted because there is no weak team in the group. “We shouldn’t under look Lesotho because they are a good team, continued the Frenchman. The coach also urged the players to go with a positive mindset that can get the three points. “They should also be able to focus on the game to avoid making the same mistakes they did against Tanzania.Uganda Cranes takes Lesotho in a crucial doubleheader duel at Namboole and in Maseru on 13th and 16th October 2018 respectively. The Cranes currently lead the standings in Group L with four points from two games having defeated Cape Verde 1-0 and drawn 0-0 with Tanzania. Lesotho are second with two points from as many games.